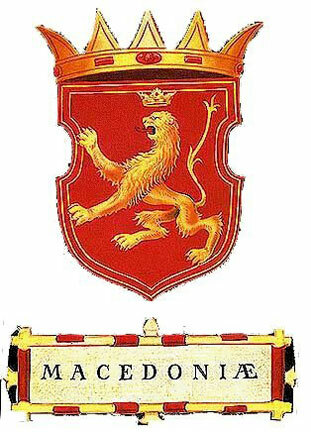 Macedonian Coat of Arms from 1741! 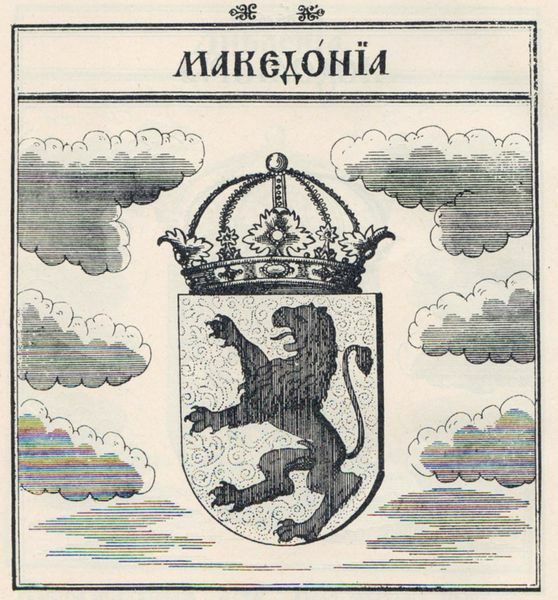 Source: "Stemmatographia" by Hristofor Zhefarovich, Vienna, 1741. 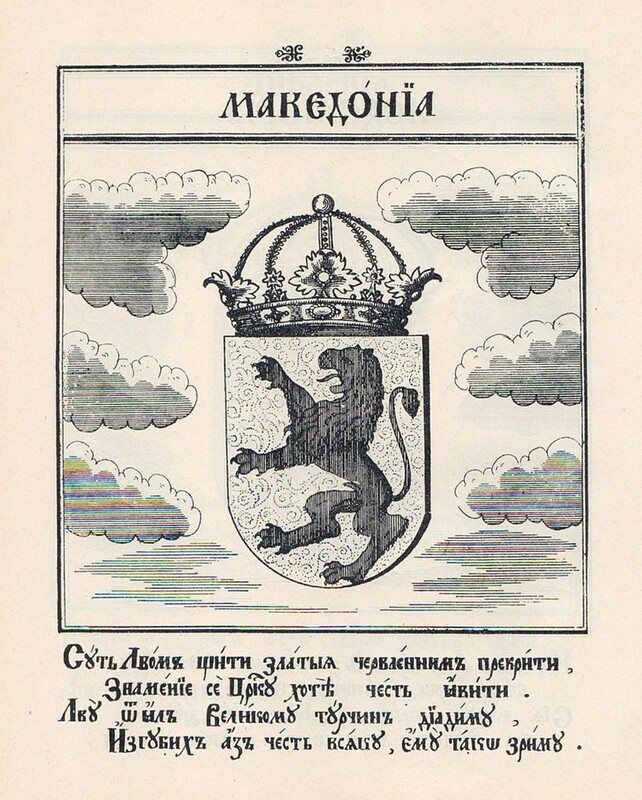 Born in the end of the 17th century, Zhefarovich descended from a priestly family from Dojran in Ottoman Empire, (present-day Republic of Macedonia) and became a monk himself. As a highly-educated and well-learned vagrant monk he painted and traded with books, icons and church plate. He spent some time in the St. Naum Monastery in Ohrid. 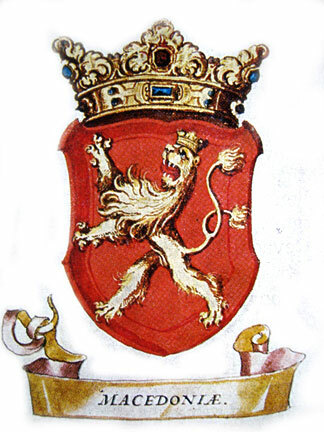 His name was first mentioned in Belgrade in 1734, when he was well-known as a good painter. His first well-preserved work are the frescoes in the churches of the Bođani Monastery in Bačka (part of Vojvodina, today in Serbia) from 1737 and the Šikloš Monastery from 1739. He was exclusively engaged in copper engraving and book illustration after 1740. This is the full text, any chance of a translation?